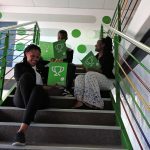 Johannesburg, 27th March 2019 – Enko Education is proud to announce the launch of Knowledge for College, an online programme to prepare African learners for their application to international universities. Knowledge for College consists of a series of 12 online workshops, covering all theoretical aspects of college applications. Those sessions will be animated by Enko Education’s University Admissions counsellors and international experts from all around the world (International School of Geneva, UWC Mahindra College, India, Marymount School Medellin, Colombia, Watson Institute at Lynn University, South Florida, USA). The one-hour long sessions will be held twice a week for 6 weeks. They will cover topics such as: criteria to choose the best-fit university, personal statement and motivation letter writing, scholarships, standardized tests, building your college CV, and many more. The sessions will be in English, and a French translation will be provided in the chat. Sessions will be recorded in case students are unable to attend a live session or want to listen to them again. All students interested should complete the pre-registration form available online at www.enkoeducation.com/knowledgeforcollege. Enko Education is a network of African international schools founded in 2013, which aims to increase access to a high-quality international education for young people in Africa. 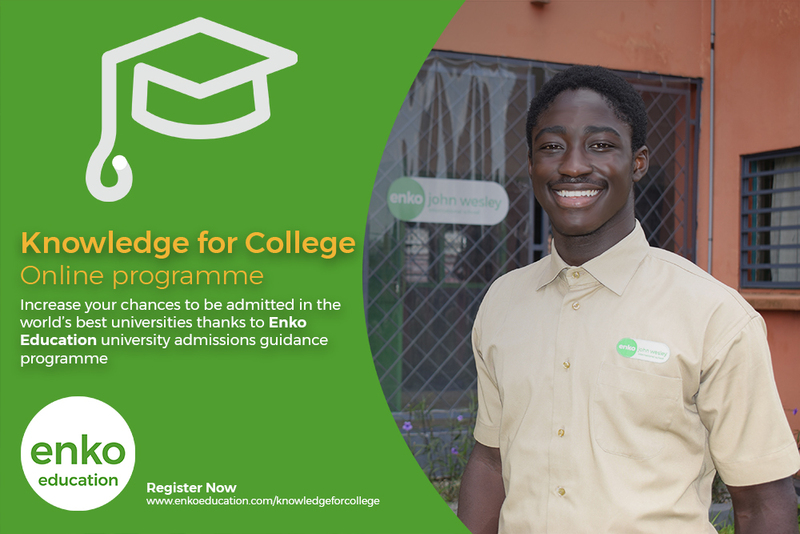 Enko Education offers international primary and secondary curricula to provide talented young Africans with the opportunity to gain admission to the very best universities in the world. Enko Education today operates 13 international schools in 7 African countries. For more information or to register, please visit www.enkoeducation.com, or contact Fanny Moral, Head of Communications – fanny.moral@enkoeducation.com, +27 84 802 7164. How to choose the right university among the thousands universities around the world?